Specialty food store Dean & DeLuca, long rumored to be coming to Texas, will make its debut in this market probably in October, he said. It will be 9,489 square feet, and Masinter expects it will be similar to the Soho store in Manhattan. It will have prepared foods, groceries, gifts and some kitchen gadgets. But the lesson of the 255-acre Legacy West is that there is a corporate demand for urban-style nodes, said Barry Hand, a principal in Gensler's Dallas office, which worked with Karahan on the designs of Legacy West. 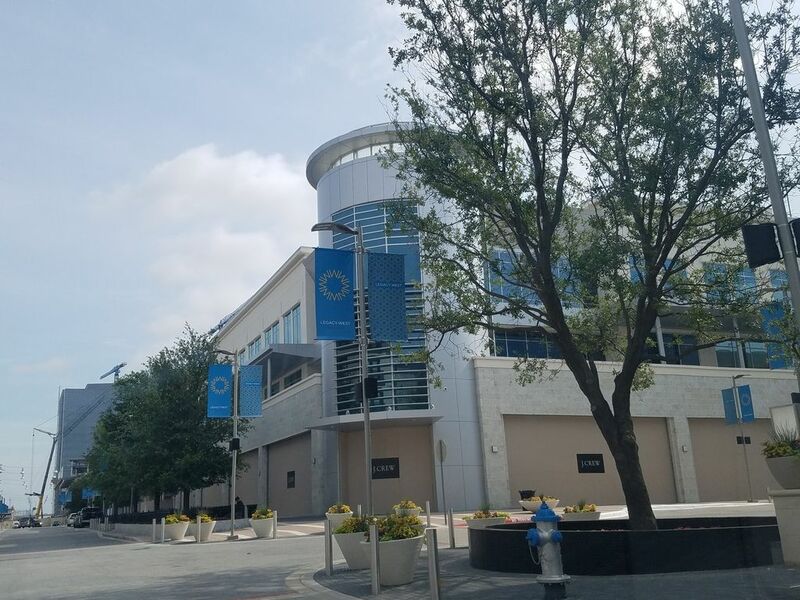 "Legacy West has a fairly unique concentration of corporate infrastructure and is its own urban node," Hand told the Dallas Business Journal. "The lesson that everyone is learning is that it pays to provide the amenities that attract the corporations, which are trying to recruit the best and brightest from the community." One wild card to note: The potential impact of driverless cars on developments like Legacy West. "Designers don't know the answer to how driverless cars will affect a lot of our projects and how we build for parking infrastructure," Hand said. "No one in the industry really knows what will happen to the parking demands. I think we will have to see how it unfolds and adapt to it." When do you anticipate completing Legacy West? We will be all done by the end of the year. We will continue to add some great names over the next two or three months and by the end of the year, we will be fully leased on the retail. As far as the office, we will see a lot of great users out there and will continue leasing space. The development team behind Legacy West added an iconic show fountain — the only one of its kind running in North Texas — as a centerpiece that will help drive pedestrian traffic to a destination, said Fehmi Karahan, the master developer of Legacy West and president of The Karahan Cos. in Plano. The show fountain is programmed to put on a water show in conjunction with some pre-selected songs with a variety of different types of nozzles. Zimmerman said there's "more nozzles," than average on this fountain — making it extra special. So special! This is the saddest puff piece I've seen in a while from a Dallas trade paper. "It becomes a conversation piece and something people from all over the region will want to come see — it's like going to the movies," he said. This guy Zimmerman is delusional. Has he even seen Wonder Woman?! Bellagio's fountains can't even compete that movie! I went to True Food Kitchen at Legacy West tonight for dinner. This was my second time in the area, the first time was during Memorial Day Weekend for the Sprinkles grand opening. It was quite a bit busier tonight, so it seems the grand opening they had last weekend was a success, and word has gotten out that Legacy West is here. I haven't properly explore the entire area, but, to me, it feels like they could have gone even bigger/denser with this project and it still would have done well. I think it won't be long before it feels like we need yet another Shops at Legacy extension, except now we don't as much land to work with. Overall, it was a nice area and it was a good experience. I'm looking forward to returning once the Food Hall opens up later this year. I visited True Food last week for lunch and made a similar observation. I was a little surprised how busy the place was being the first week it was open and only a handful of stores up and running. One of the parking garages was already full and the line for True Food was out the door. I would expect this place to be an overwhelming success, especially as more towers open up and spill office workers out onto Windrose Avenue for lunch. Yeah, it's pretty insane how quickly word got out. I hate to admit it, but the urban core could only dream of seeing this level of popularity. Not only is there a decent amount of foot traffic, but on my social media there is a decent amount of buzz about the restaurants coming soon. I know it's a bit of unfair comparison, considering Legacy West is an entire neighborhood, and in Uptown/Downtown, we only get one building at a time, but it's rare for a new development to attract so much attention. I'd say by the end of this year, Victory Park could be considered somewhat comparable to Legacy West, but I'd be happy if it got 1/10th the amount of attention this early on. It'll be interesting to watch this place mature. Las Colinas offers many good and bad examples for comparison. For me personally, from a design standpoint I wish the West Village would have developed this way. I would love to have a number of these retailers / restaurants they've landed in the West Village. I continue to be thoroughly impressed by Legacy West, and just wait until the Food Hall opens. Legacy West reminded me of The Shops at Parklane, where everything is facing inward, surrounded by massive parking garages. It would've been cool if they could've connected with Shops of Legacy. I went for lunch time, and overall a pleasant experience. Still, after reading all the articles, I was expecting an urban design oasis in the middle of Plano. mdg109 wrote: Legacy West reminded me of The Shops at Parklane, where everything is facing inward, surrounded by massive parking garages. It would've been cool if they could've connected with Shops of Legacy. I went for lunch time, and overall a pleasant experience. Still, after reading all the articles, I was expecting an urban design oasis in the middle of Plano. That's what bothers me about this area. There are some decent, walk-able pockets near DNT/121 but they have made absolutely no effort to connect to one another. I can't believe how poor the connection is from Granite Park to Shops at Legacy. I realize they are different developers with different masterplans, but this area could be something incredible if the different areas worked together. Kelley USA wrote: For me personally, from a design standpoint I wish the West Village would have developed this way. I would love to have a number of these retailers / restaurants they've landed in the West Village. I continue to be thoroughly impressed by Legacy West, and just wait until the Food Hall opens. What could West Village have done differently? I think Legacy West landing all these retailers/restaurants simply has more to do with the surrounding area, rather than the development itself. But yes, I'm very excited for the Food Hall, it sounds like it will be incredible. I'm a little envious that we don't have something that cool in the city. The Farmer's market is the closest thing, but this sounds like it'll be quite a bit better. I'm sure Uptown could pull something like this off too, if it were somewhere near West Village. I know they have the Uptown Urban Market, but that thing is pretty small. From what I understand there is a plan in place to connect Legacy West to the Shops over the top of the tollway. From Legacy West it should be easier to connect to all future development going west around JCP. There's so much redevelopable surface up there! Tnexster wrote: From what I understand there is a plan in place to connect Legacy West to the Shops over the top of the tollway. From Legacy West it should be easier to connect to all future development going west around JCP. Yeah, I think the U-turn lane is being converted to a walk-way. It's a decent attempt, but I highly doubt this will be widely used. For one, neither of the Legacy developments really connect well to this proposed walk-way (the connection isn't poor, but on both ends of the walk-way, you'll have to cross some surface parking to get where you need to go. 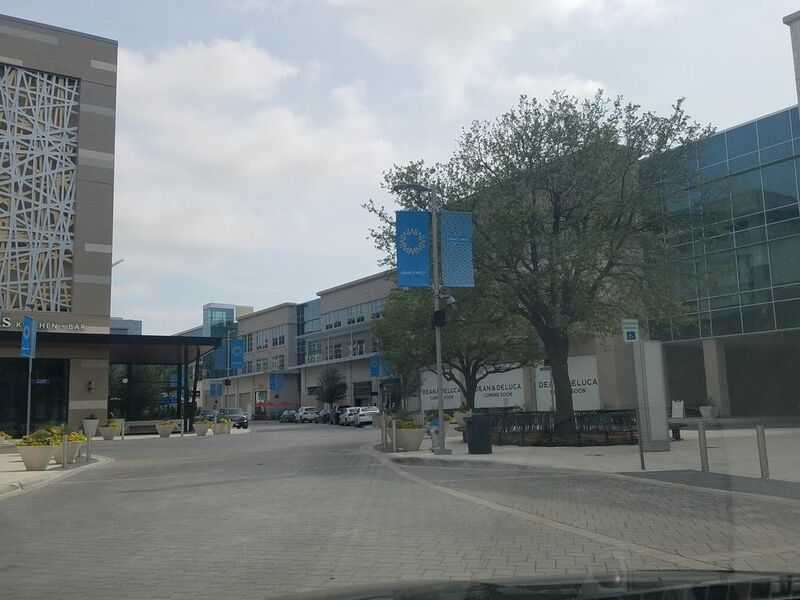 All corners of Legacy have very accessible, free parking, giving people less incentive to walk, and with it being in Plano (a very car-centric suburb), I just can't see it happening. I do hope you're right about the remaining lots around JCP, but I look at Granite Park and Grandscape and I'm not too hopeful. Of course, Granite Park has been around for a little while, and, perhaps, at the time, they didn't understand the benefits of creating a more walk-able and connected development. Grandscape is a little far out there, but it would have been nice to see a more urban development there. tamtagon wrote: There's so much redevelopable surface up there! Indeed. Basically all those corporate campuses have the opportunity to sell of part of their land, develop into something more urban, and really kick this area into overdrive. What's funny is my parents have a house on Lake Lewisville out in The Colony, and I can actually see a few cranes and some buildings from their backyard. Pretty soon there may be a bit of a skyline forming here. Here is a link to some details about the pedestrian bridge. I'm not sure I understand why taxpayers are being called on to provide the connection between two pieces of this developer's vision. If they didn't want to provide the connecting infrastructure they think they need, maybe they should not have developed their project on two sides of a major turnpike. That said, I agree with DPatel304. I doubt this will get much usage. So in addition to being paid for by taxpayers instead of the developer, it's probably a huge waste of money... perhaps that is why the developer didn't want to build it himself (and apparently didn't make any plans of it). 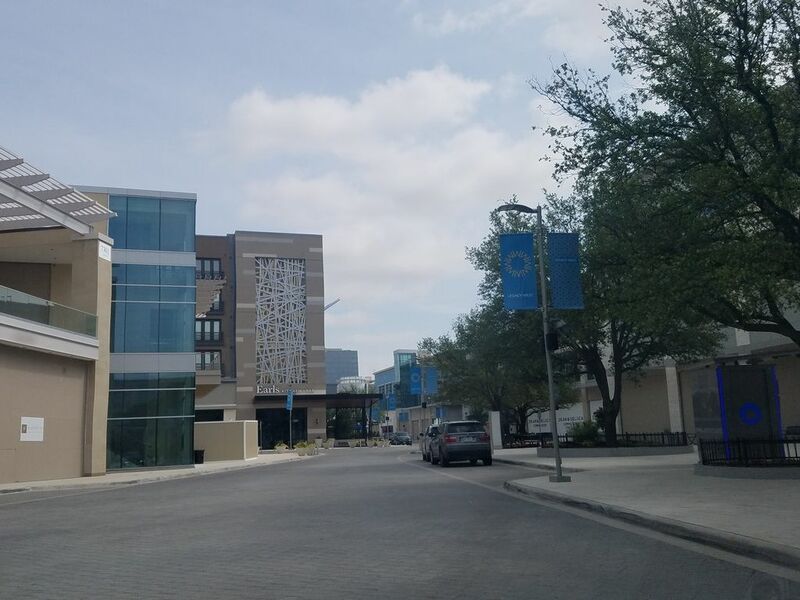 After visiting this area myself this weekend I have to say although this development is very nice the area is very disconnected and realistically this part of the tollway is not urban at all nor will it be if these urban islands continue the way they are. They seem to be nothing more than better designed suburban shopping centers with apartments while massive streets tollways separate everything. More needs to be done to make this area less car centered and more pedestrian friendly on a neighborhood scale. This bridge barely confronts the huge issue. These developments are malls without the roof and AC. All development is inward facing and disconnected from surrounding properties. They are not outward facing integrating with the overall city. They instead prefer an Urban Disney-like experience without the teenagers in cartoon costumes. They still largely promote car usage and do nothing to promote walkability or Transit integration. The reason this is important is that the only way to add capacity and reduce traffic jams will be to be multi-transit oriented. At this rate, someone who wants to shop on both sides will have to get in a car sit in traffic and search for another parking spot. That's such a huge waste of resources on so many levels and is why we have traffic problems in the first place. 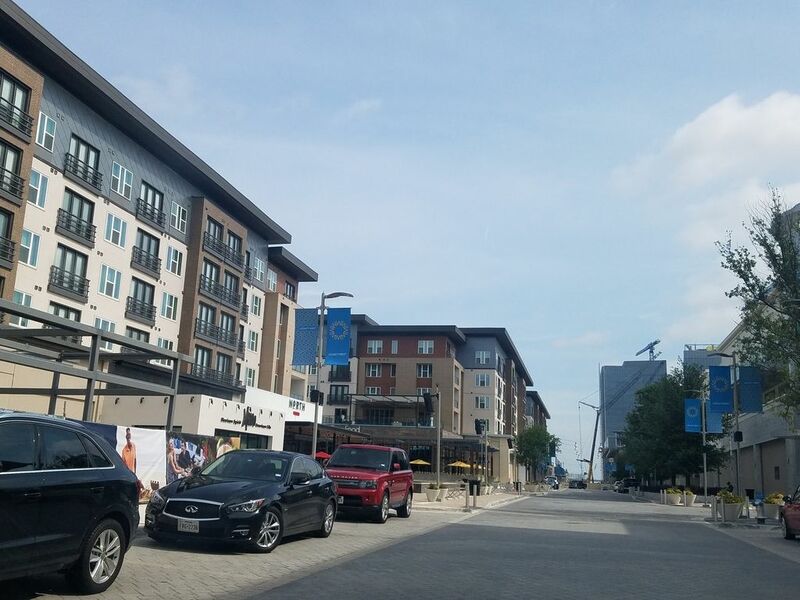 I get it its Plano you aren't going to take people's cars away from them but I can show a dozen urban mixed-use walkable developments that do a better job of balancing parking, walking, biking, and mass transit access. cowboyeagle05 wrote: At this rate, someone who wants to shop on both sides will have to get in a car sit in traffic and search for another parking spot. That's such a huge waste of resources on so many levels and is why we have traffic problems in the first place. 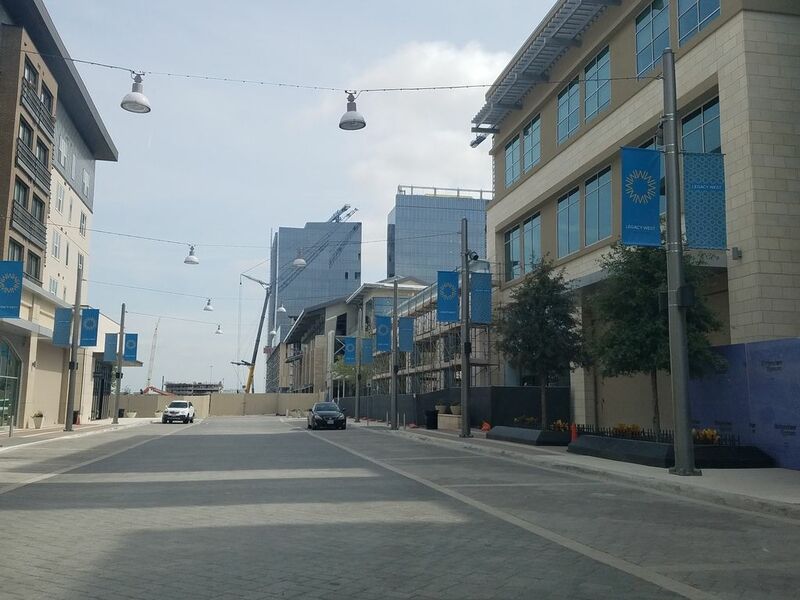 "The bridge is expected “to help mitigate some of the impending traffic concerns” associated with the completion of several Legacy West retail and office developments, according to a document prepared by city staff." City staff should know, shouldn't they. I mean, they get paid to sit around all day and analyze these kind of things. No charge for the dripping sarcasm. Yeah, I went to school with people who work in City Staff departments they try their best to get things done right but when a council and the general public get involved there tends to be a water downed solution when different priorities get put in place. I am not suggesting city staff should have absolute control but that bridge will look great on paper but do very little that the development itself should have done in their design work of the larger project. Like what was said before the connections on each side of the bridge will not encourage a walking public nor will the racing cars on the tollway. Although it would have been great if they had discussed a Kylde Warren since they would be remodeling things so extensive in that section. Something like a park that dulls the impact of high-speed cars would be a welcome option. cowboyeagle05 wrote: Yeah, I went to school with people who work in City Staff departments they try their best to get things done right but when a council and the general public get involved there tends to be a water downed solution when different priorities get put in place. I am not suggesting city staff should have absolute control but that bridge will look great on paper but do very little that the development itself should have done in their design work of their larger project. Good point, I didn't think about adding the political component. One main thing they teach you in city planning school is the sharp differences between city staff who do things professionally and are guided by doing their job to earn a living. Politicians do their job based on a variety of factors including being elected into a job without training. City Councils almost never contain anyone who knows anything about city planning, transportation planning etc. Which is intentional in some ways but also mucks up the process for sure. The bridge will be the equivalent of the pedestrian crossing between Mockingbird Station and Northpark. It'll be used by the few people who feel comfortable crossing freeways. I'm not sure I agree that it's a problem that these buildings face inwards. 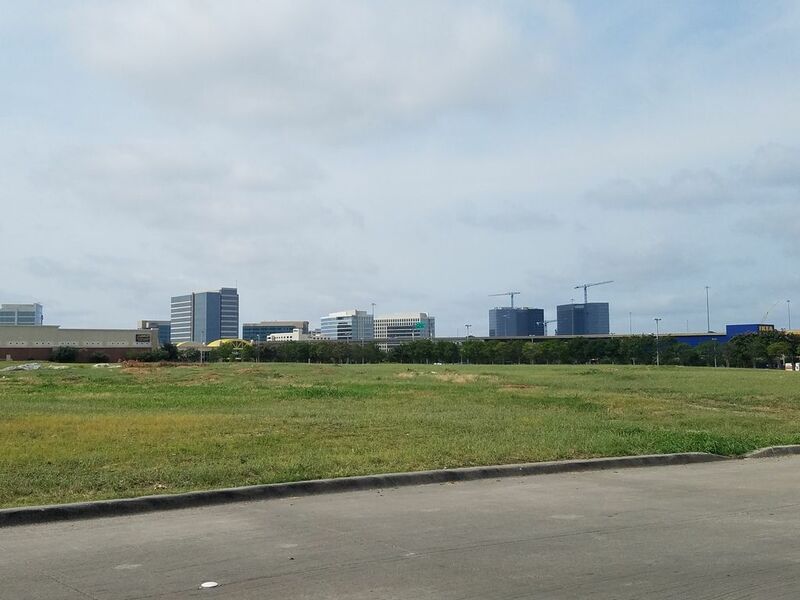 There is nothing but roads and empty land surrounding them, and both areas (Legacy & Legacy West) have plenty of space internally still for growing. There was nothing around for them to even interact with, so there is no need to take space outwards quite yet. And a few thousand people will live at these places, so I have a hard time describing them as 'malls'. Nobody living in them was always a shortcoming of a 'mall'. I'd agree its manufactured instead of organic density, but dense areas in DFW are so rare and so new they all still seem manufactured. And Richardson built a bridge in around 2007 with no shoulders for pedestrians at all, so a bridge specifically for pedestrians in DFW is still a serious outlier. Dallas hasn't managed to close or shrink any of the roads around Klyde Warren, so its hard to fault a speculative pedestrian environment in Plano. I'd say that all 3 of these locations (KWP, Northpark, Legacy West) highlight the serious limitations of high speed service roads adjacent to massive roadways. The_Overdog wrote: The bridge will be the equivalent of the pedestrian crossing between Mockingbird Station and Northpark. It'll be used by the few people who feel comfortable crossing freeways. 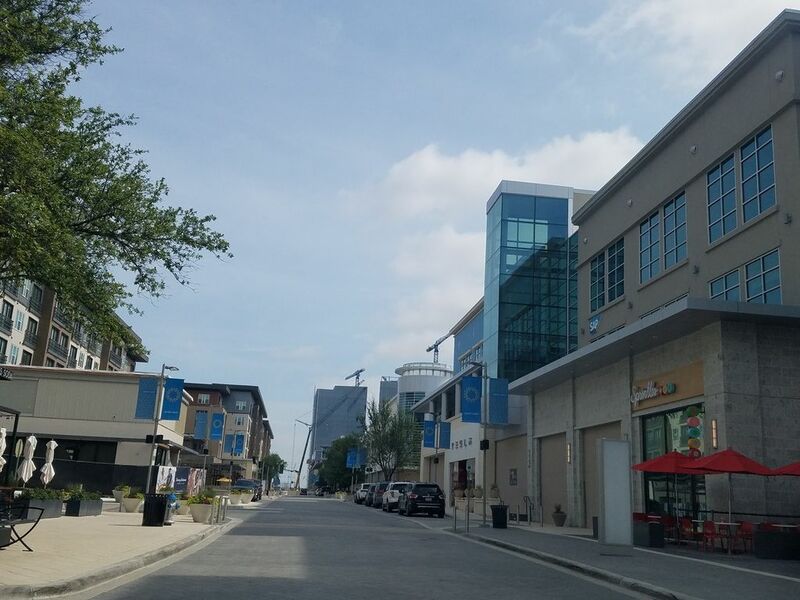 I disagree 100% with your comparison of KWP to Northpark and Legacy West, KWP is probably one of the best recent developments connecting 2 existing urban areas that were previously separated by the highway. The Woodall Rodgers service road is significantly smaller and narrower than Legacy dr or any major road in the West Plano area. At KWP you will see many pedestrians walking from park to offfice, to restaurant, to home all around at LW pedestrians exist only inside the development. While Yes KWP is not perfect but area is not anywhere near as bad as the disconnection between the master planned West Plano/Frisco developments. Right now its not serious because everything is shiny and new but what happens when this becomes old and shinier cheaper developments elsewhere in DFW pop up? Northpark on the other hand is just a mall and should only be compared to Stonebriar which is also just a mall. Won't this bridge basically connect the Katy Trail to White Rock Lake? If it was just a bridge connecting both sides of 75, I'd agree, but have a connection to the Katy Trail will ensure some pretty light (but regular) usage. People would cross the tollway if there was a good enough reason to do so. People cross Michigan Avenue in Chicago and Connecticut Avenue in DC and both of those are wide and very busy. I don't think this is such a big deal. It would help if they made the connection as attractive and people-friendly as possible but once Legacy gets going people will use it. Last edited by Thymant on 22 Jun 2017 19:47, edited 1 time in total. Tnexster wrote: People would cross the tollway if there was a good enough reason to do so. People cross Michigan Avenue in Chicago and Connecticut Avenue in DC and both of those are wide and very busy. I don't think this is such a big deal. It would help if they made the connection as attractive and people-friendly as possible but once Legacy gets going people will use it. Comparing this pedestrian bridge to Michigan Ave and Connecticut ave is definitely comparing apples to oranges, your comparing crossing internationally recognized wide streets with tons of shopping and entertainment to crossing a major tollway over a bridge only to gain access to a few more shops and restaurants. This bridge will only be commonly used if they can find a way to make it an attractive destination in itself, like creating a signature bridge or a mini park bridge, connecting the two areas. From the story, don't know how it will look but at least they are doing something. It will get used. To me, the obvious comparison is to Continental Bridge (oh, Ron Kirk Bridge <gag w/spoon>) rather than KWPark, but whatever about that. As long as the bridge comes with lots of shade in the summer and wind break in the winter I think it'll be popular enough. Hopefully much/most of the shade and wind break comes from plants, augmented by structure. The buffer from traffic will be critical, and if the bridge leads to lane separated bike/pedestrian routes throughout Plano Business District we've got a grand-slam. That's a pretty funny comparison. In addition to being completely different contexts, both of those crossings are less than half as wide as the crossing being discussed here and once one crosses either North Michigan Ave or Connecticut Ave NW one is immediately on the sidewalk in front of shops, restaurants, galleries, etc. Here, after making this quite long crossing, one will still have a bit of a journey across parking lots and driveways before reaching anything of interest. No, not the new one under construction, which is a dedicated crossing over traffic, which will probably be used quite a bit. This will just be a wider pedestrian space attached to a u-turn bridge, like the existing crossings at Northpark Blvd, Mockingbird, and SMU Blvd. Once you cross the bridge, you still have to cross the service roads. North Italia is owned by the Fox Restaurant Group which also owns True Food Kitchen and will also be opening The Henry in the new Union development. Looks like a cool place! Kelley USA wrote: North Italia is owned by the Fox Restaurant Group which also owns True Food Kitchen and will also be opening The Henry in the new Union development. Looks like a cool place! I agree the True Food space was nice except they had no wifi in there although that was temporary. I can see the outdoor patio spaces being very popular in cooler weather or evenings. Any chance Toyota will offer tours of their campus? I'm not sure how common that is for corporate campuses, but this is one I wouldn't mind visiting. DPatel304 wrote: Any chance Toyota will offer tours of their campus? I'm not sure how common that is for corporate campuses, but this is one I wouldn't mind visiting. Now no but later in the year yes. I believe closer to the end of the year or early in 2018. A sought-after luxury condominium tower in Legacy West to slated to start next month with an official groundbreaking ceremony, which will bring 90 luxury residences to the $3.2 billion, 255-acre corporate magnet. By this April, the 24-story luxury tower, called Windrose Tower at Legacy West, was already 80 percent reserved by residents wanting to make Plano's Legacy West community their home. 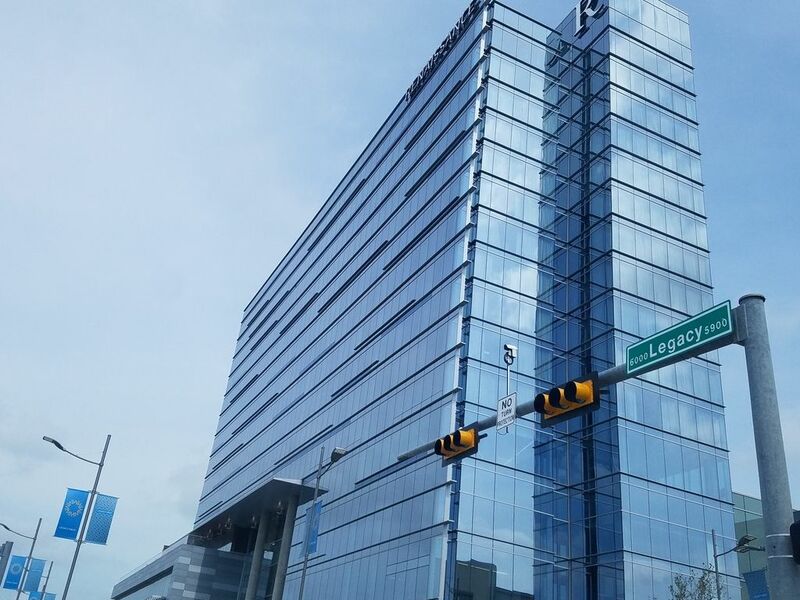 This will be the biggest employment site in North Texas for JP Morgan Chase, with about 6,000 employees expected to work within the Legacy West location upon its completion. The financial firm employs about 12,000 throughout the region. JP Morgan Chase has been evaluating its real estate in North Texas as it looks to consolidate operations or bring a critical mass of employees together. And the Plano campus is a key example of how the firm wants to manage its future office operations, Owen said.